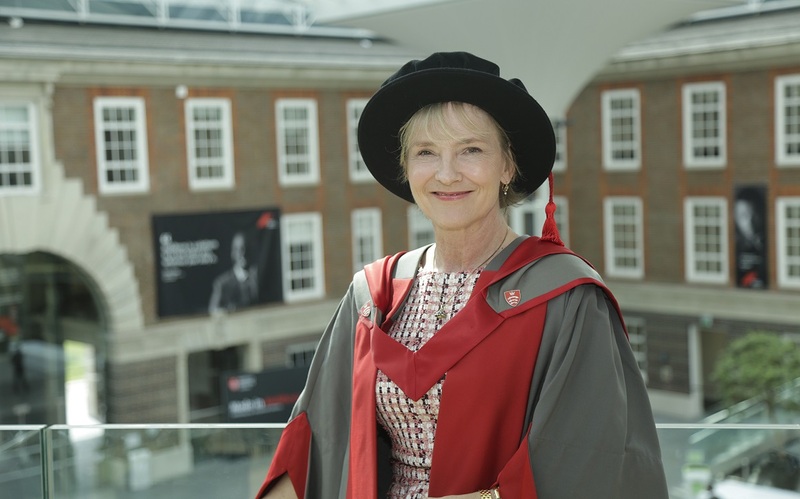 Julia Samuel, a specialist in child bereavement support and author of the bestselling Grief Works has been awarded an Honorary Degree by Middlesex University London. In 1992 Julia established the role of psychotherapist for maternity and paediatrics at St Mary’s Hospital London, where for 25 years she supported families who had a child or baby die, as well as training and supporting the staff. As Founder Patron of Children Bereavement UK Julia worked to launch and establish the charity in 1994, where she continues to be involved in many of the charity’s functions including fundraising, strategy and training. She is also the Vice-President at the British Association for Counselling and Psychotherapy and was previously a tutor at the Metanoia Institute. Julia is very pleased to be given an honorary degree from Middlesex. “I truly appreciate being awarded this Honorary Doctorate and becoming a member of this esteemed group,” she says. Professor Tim Blackman, Vice-Chancellor of Middlesex University, is happy the University is able to acknowledge Julia's work.